We arrived at Suakin, our port of entry and exit in Sudan, last Tuesday after an overnight sail from Marsa Fijab, taking a route to seaward of the offshore barrier reefs. The seas were not particularly comfortable but we had a good wind and could time both our departure and arrrival for the best light. It had been a sad week for the rally with the yacht Panta Rhei lost after striking an offshore reef. Fortunately her crew were all rescued by a dive boat. Lo, the rally organiser has helped the skipper deal with the authorities in Port Sudan, while we have reflected on the perils of the sea and the care and vigilance we need to exercise in our chosen way of life. 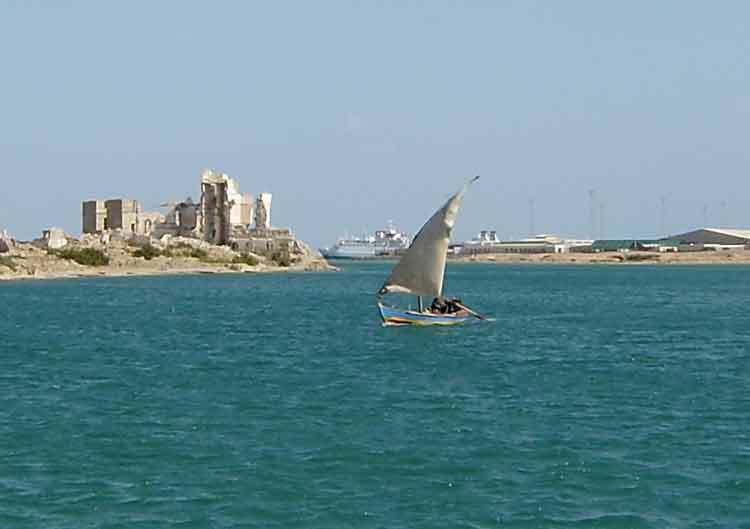 Suakin port is a quite large marsa but is not busy and has a pleasant anchorage for yachts close to the old town. As soon as we arrived we were hailed from the shore by Mohammed, the local agent, who speaks excellent English and is very efficient. Within an hour we were able to take down our Q flag having completed the necessary formalities and received shore passes in exchange for our passports. All the essentials of diesel, water, cooking gas, laundry and currency exchange were swiftly and courteously organised. 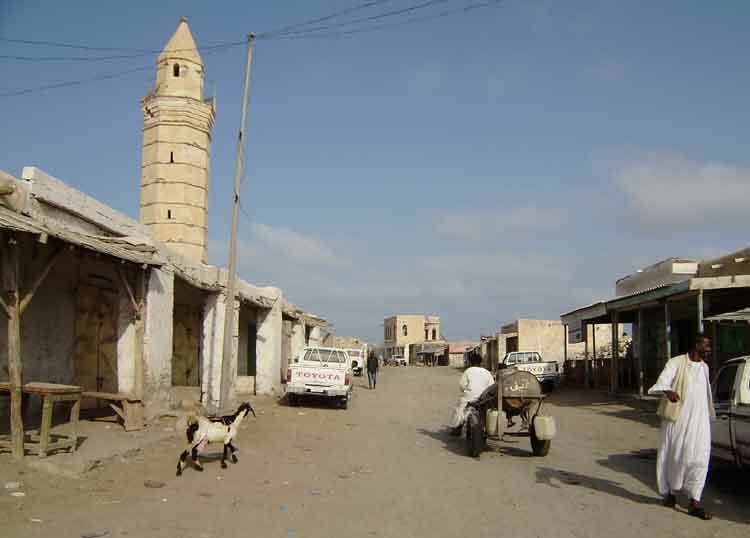 Suakin old town was the last slave trading centre in the world (up to the second world war!) and is now a heap of ruins. The new town is also very dilapidated and supplemented by shacks built of driftwood, flattened out oil barrels, plastic sheeting, etc. There is no electricity apart from that from small generators. The local fresh produce market is surprisingly good, though more expensive than Egypt. The people are friendly, welcoming and easy-going. The women dress in bright colours and few cover their faces fully. Yesterday we all went to Port Sudan, an hour's bus ride away. The desert is green at this time of year, just after the rainy season, and we saw herd after herd of camels on their way to being transported for consumption in Saudi Arabia. There were also many tented villages, surrounded by herds of goats and sometimes cattle along the way. 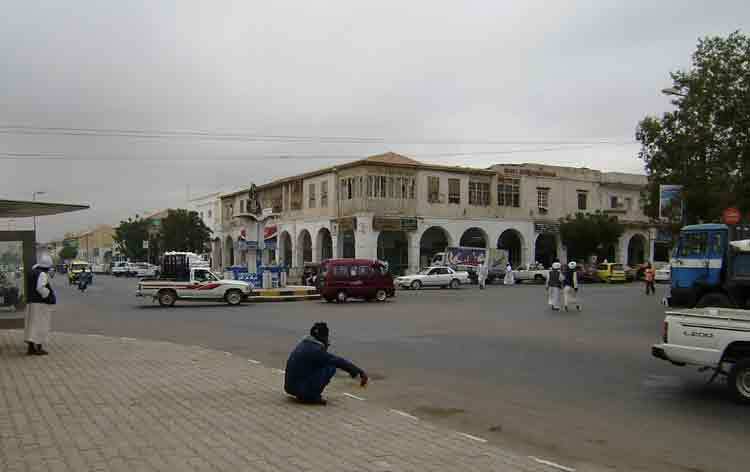 Port Sudan is a very different place from Suakin, being a relatively modern town, and was good for shopping and internet facilties. We stocked up on meat, eggs and fresh vegetables for the coming 9 days, our next leg to Massawa in Eritrea. At every major stop we have a rally meeting to discuss the next leg and the last one was understandably tense. It's easy to forget what a wonderful experience we are having on the rally. We are reluctant to leave Sudan but Eritrea now beckons. We must keep going in order to get to India before the SW monsoon sets in and there is so much to see in between. So today we have made a short sail south to a deserted reef marsa, Marsa Esh Sheikh, about 20 miles south of Suakin. (A reef marsa is one in which the shelter is provided only by reefs; there is nothing to see above water!) We had been hoping to have a swim and snorkel, but the sky is overcast, we have had some drizzle and the water is not enticingly clear.